La Vergne Property Management, La Vergne Property Managers, La Vergne, TN Property Management Companies. Stones River Property Management, INC. is one of the largest and most experienced property management companies in Middle Tennessee, employing marketing and administrative services to fill and manage leased properties. How much rent can you get for your investment? Our market analysis helps landlords and us make data-informed decisions about their rental property, including rate estimates and other information so they can invest and manage their investment property more wisely. Get started with your FREE RENTAL PRICE ANALYSIS by completing the form to the right. Get started with your FREE RENTAL PRICE ANALYSIS by completing the form below. We advertise by way of using yard signs and network of agents that work hand and hand with Stones River and its agents to provide a positive outcome for our clients. Most importantly, our internet marketing consists of our website which averages over 10,000 views a month along with your property being pushed to an additional 85 sites. We have licensed real estate agents on staff to show all properties. We do not hand out keys or give applicants a code to enter the property. We believe the best service is provided to our owners by having our agents present to secure the property and to answer any questions the applicants may have while on-site. Tenant screening is of the utmost importance to our business to ensure a successful partnership with Stones River and our clients. The qualification process consists of a credit check, background check and a review of all rental history. Lease agreements are done electronically through our software program as long as the applicant has an email address. Lease agreements are typically for 12 months except in special circumstances. Security deposits are collected once a tenant is approved. This secures the property for that tenant and it remains in escrow until the tenant vacates. Rent is collected at move-in and each month thereafter on the 1st of the month. We provide the option of monthly rent deposits directly to your bank account at no extra charge. Monthly statements are also emailed and posted directly to your owner’s portal to view. You can log in at any time and view statements that have been posted each month. 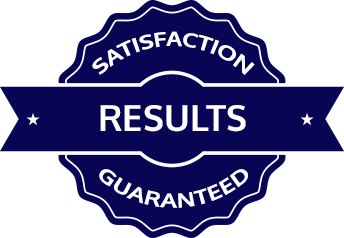 Inspections are very important in our effort to provide a quality product for both owners and tenants. Property inspections are done once a year. Inspections will be completed after a tenant vacates the property, or if tenant chooses to renew the lease, inspection will be done prior to lease renewal to determine the condition of the property. All of these inspections are included in our monthly management fee. Any additional inspections can be performed upon request for an additional fee. As an owner, we know it can be very frustrating dealing with local utility companies. 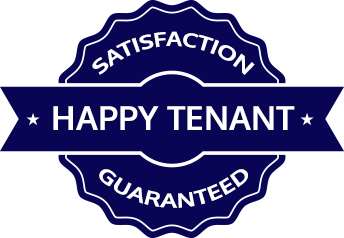 We take this hassle off of you each time a tenant vacates the property. We set up all utility services for your property while your property is vacant and pay for these services out of your property funds. Once a tenant occupies the property, utilities are transferred to tenant. Owners may be required to contribute additional funds to property account while property is vacant to cover cost of utilities. lease term, we will find you a new tenant for free. La Vergne is the gateway to Rutherford County. We are neighbor to the Country Music Capital of the World, nestled next to the 14,000-acre Percy Priest Lake, ranked sixth in the state for being business-friendly, and 13th in the nation for affordable housing. There is a lot going for La Vergne, including outdoor recreation opportunities, high marks for schools, numerous top-quality colleges and universities nearby, great shopping throughout the area, and easy access to three major interstates. La Vergne was incorporated 40 years ago on February 29, 1972. The city, however, was named LaVergne on August 23, 1852 as the postmaster honored his friend Francois Lenard Gregoire de Roulhac de LaVergne who died on that day. La Vergne has a rich history of early pioneers, Civil War battles, devastating tornadoes, train wrecks, major industrial growth, and huge population shifts. Through it all, we have been friends, neighbors, and a strong community that cares. Find out how much rent you can get for your investment. Learn about how we can help maximize your rental investment's potential. © 2019 Stones River Property Management. All Rights Reserved.